16.00 Dem for children and adults - artist Eglè Lipeikaitè (Lithuania) at Collegio Raffaello, 1° floor. 10.00 performance brazilian watercolourist Ivani Ranieri at Cortile Raffaello. 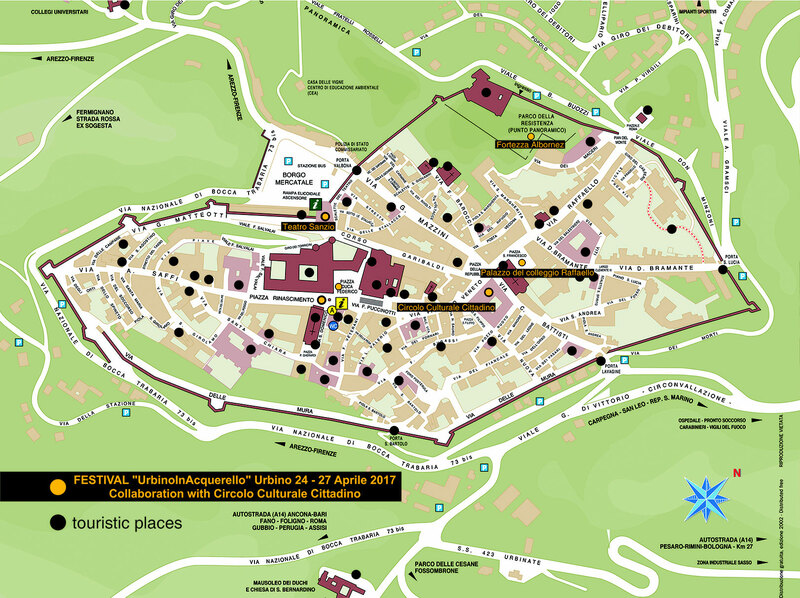 11.00 "Watercolour and Kites" project with Alfonso L-Tejada (Canada) and alla artists are invited to design the kites of the districts of Urbino. 15.00 "Parco della Fortezza Albornz": Launch of the kites of the city's districts and those developed by the artists in the morning. Performance / impromptu watercolourist of comets in the sky. In bad weather the elaborate kites will be presented at Cortile di Raffaello. 22.00 Oriental dance at the "Circolo Culturale Cittadino"
17.00 Discovering the treasures of the "Palazzo Ducale" with Maria Giovanna Luminati. (Guided tour reserved for the artists and their companions; admission 6.50 euros). *In case of bad weather it will be moved into the room of the "Circolo Culturale Cittadino". Sala Mostra Pascoli at "Collegio Raffaello".